The complexity of the hazardous materials industry has brought with it the need for the development of a thoroughly competent professional staff having the capability to deal with all of the issues involved in hazardous materials management. Our team of professionals includes Architects, Environmental Specialists, and several Field Industrial Hygienists. 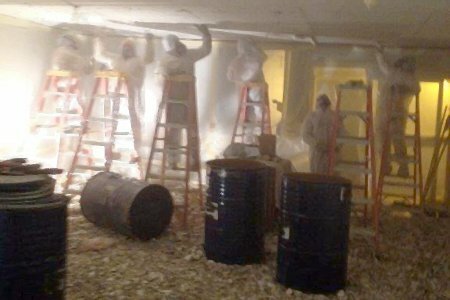 Inspection to confirm the presence of asbestos and lead based paint and characterize the extent of its distribution by AHERA Certified Inspectors and Management Planners, Certified Mold Inspectors and Certified Indoor Air Quality Professionals. Preparation of plans and specifications to be used in bid packages for selecting the environmental contractor. An AHERA Certified Designer, an Architect and a Coordinator of Environmental Services. Air Monitoring and oversight of abatement contractor’s activities. Industrial Hygienist/Air Monitoring Technicians on staff. Verification and certification that contractor has complied with the specifications and applicable regulations. Analysis by NVLAP, NLLAP, and AIHA Certified Laboratories. Health and safety program and medical surveillance program development. Respiratory program development, training, and fit testing. Real Estate acquisition and Divestiture Studies. Operations and Maintenance program preparation. 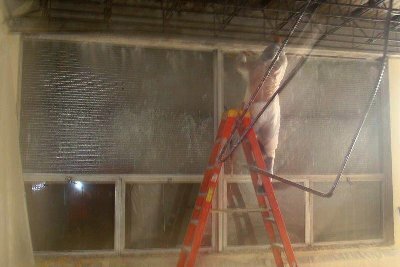 Morris and Associates can also provide a full range of industrial hygiene services. These services include complete industrial hygiene surveys tailored to the client’s needs. Personal and area air monitoring. Morris and Associates provides comprehensive analytical services to clients through the utilization of independent NVLAP, NLLAP, and AIHA certified commercial analytical laboratories. All bulk asbestos samples are analyzed in strict accordance with recommended EPA interim methodologies. Bulk samples are analyzed for the presence of asbestos-containing materials by the use of Polarized Light Microscopy with dispersion staining. Results are reported as percent concentrations of asbestos, type of asbestos, and types/percent composition of binding and inert materials. Settled dust samples and bulk samples may be analyzed by the proper Transmission Electron Microscopy (TEM) procedures when indicated. Asbestos Air samples are analyzed by Phase Contrast Microscopy according to the recommended NIOSH analytical method 7400. Results are reported as number of fibers (longer than five micrometers) per cubic centimeter of air over an eight hour time weighted average (TWA). Analysts participate in the EPA and NIOSH Proficiency Analytical Testing (PAT) Programs and have been rated proficient in each. Transmission Electron Microscopy (TEM) Analysis for final clearances are provided in accordance with 40 CFR, Part 763, (AHERA) protocol. Lead based paint chip samples will be analyzed by Flame Atomic Absorption (AAS) with a Perkin-Elmer Spectrophotometer, Model 2380. Quality control (QC) methods used meets the criteria defined under the Quality Control protocol of the American Industrial Hygiene Association (AIHA) Environmental Lead Laboratory Accreditation program (ELLAP) as part of the EPA National Lead Laboratory Accreditation program (NLLAP). This protocol requires proficiency in the Environmental Lead Proficiency Analytical Testing (ELPAT) program. Turnaround time for analysis of bulk and air samples is generally one to two days from sample receipt. Priority services are available on request.